Get the ideal wine cellar from Wineware, design, build and install in the UK! Storing wine in the correct way is a must if you’re looking to drink and enjoy your collection or you’re wishing to sell and recoup your investment further down the line. Either way it needs to be looked after and kept in pristine condition. Storing it in a suitable racking system and at the right temperature are the two most vital elements when considering your very own wine cellar. The humidity of the room and the light within it (or lack of) are also very important. Here at Wineware, we provide a great range of different wine racking options (throughout the UK) that are suitable for differing collections, circumstances and budgets. Our bespoke wine cellar options can suit a variety and range of prices, so don’t feel that your ideal wine room is out of reach! 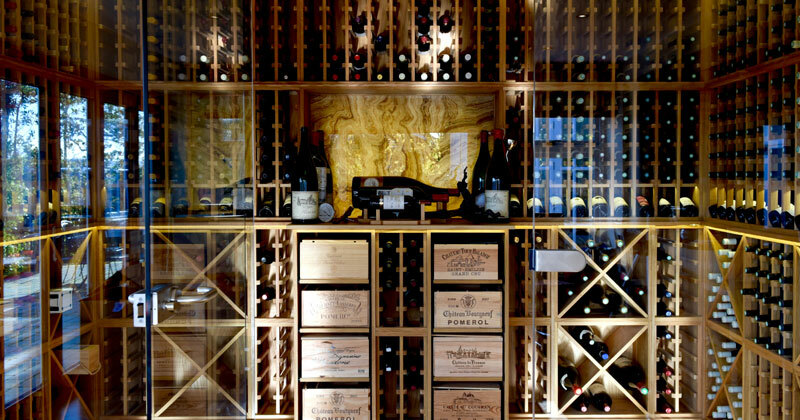 We’re able to design, build and install your ideal wine cellar! We can produce 3D CAD drawings so you’ll see what the room will look like before installation and this will give you the perfect insight of how the racking will sit within your surroundings and gives you the layout of your potential cellar. We can provide different wine rooms for different circumstances, depending on the space available and the capacity you’re looking to store, whether it be a few hundred or a few thousand bottles. 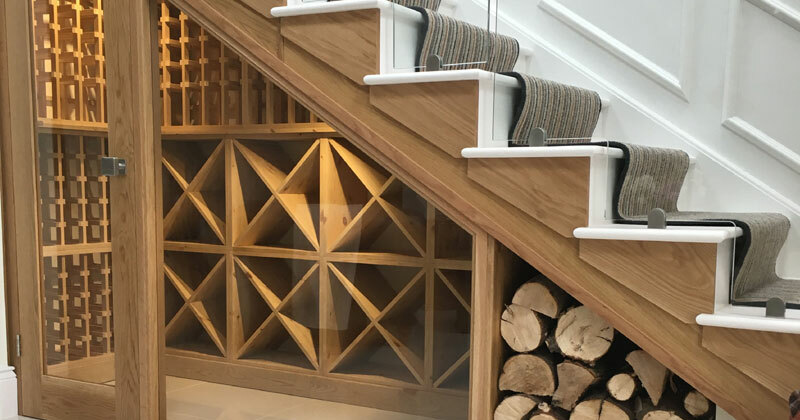 We’re able to provide underground cellars and even under stairs wine rooms, wherever you think you’d love to store you’re wine we’re more than likely able to provide you with some storage for your collection! Inspire me with a wine cellar! If you’re looking for some inspiration, check out our case studies to see some of our previous work and see for yourself the variety of wine racking we’re able to provide, from fully completed rooms to feature walls! Why not get in contact with us today and find out some more information on how to achieve your perfect wine cellar! You can either call us on 01903 786148 or email info@wineware.co.uk.